A new female regional record was achieved in Italy! 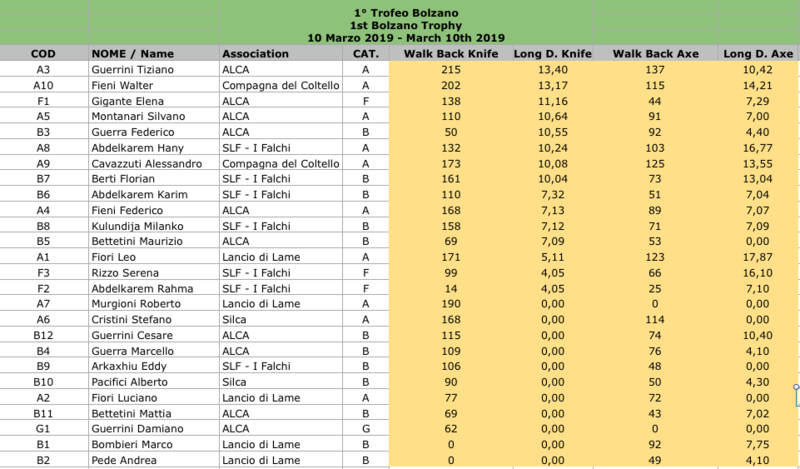 It happened during the 1st Bolzano Trophy, 10 march 2019. This was a regional competition so the new record is a Regional record. 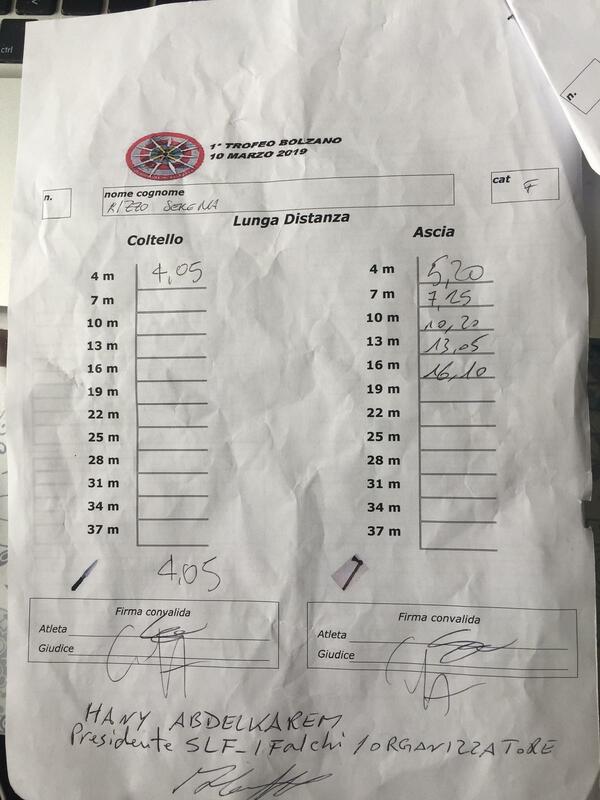 The young thrower Serena Rizzo obtained 16,10 meters in axe long distance female competition. 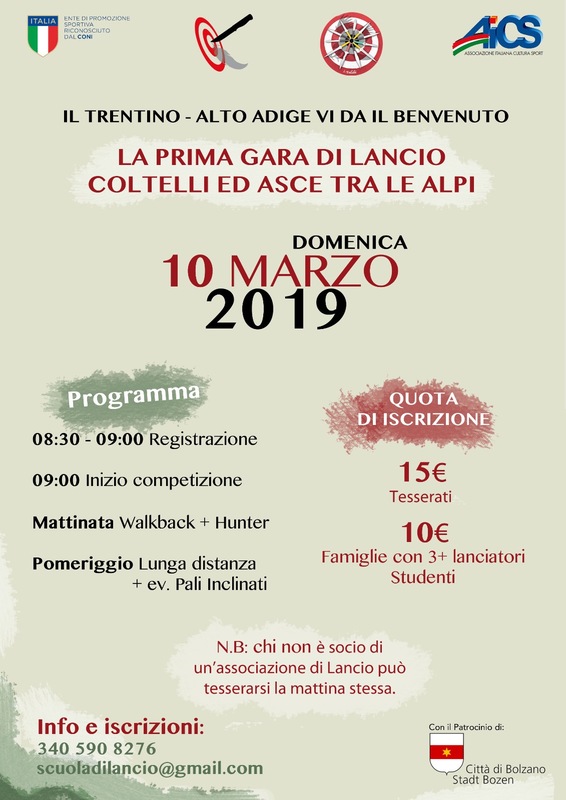 The competition was attended by 26 throwers from all over Italy, including four presidents of Italian clubs. The compatibility of the tender rules with the standard EuroThrowers rules was verified. The judge of the line was Leonardo Fiori and the leader of the competition was Hany Abdelkarem, president of the I falchi club, both members of Eurothrower.